Is it possible to control your thoughts or control what seem to be natural emotions? The Greek sage and Stoic philosopher Epictetus (55–135 AD) says it beautifully: People are disturbed not by things that happen to them, but by the principles and opinions which they form concerning those things. When we are impeded, troubled, or grieved, let us never attribute it to others, but to ourselves—to our own principles and opinions. I was very excited to find how Albert Ellis (1962), who developed rational emotive behavior therapy, reiterates this concept of perception and opinions in a structured format. He explains that “how” people react to events is determined largely by their “view” of the events, not the events themselves. Ellis described this in an A-B-C model: A is the activating event, B is the beliefs the person has about the event or situation, and C is the emotional and behavioral consequence of the person’s belief. Our goal must be to move to D, which is to dispute and challenge the erroneous beliefs and views that lead to disruptive emotions and behaviors. We can understand the immediate influence of our perceptions or beliefs on our emotions by looking at the following comical candid-camera scene: A man is in a restaurant enjoying a steak. A worker comes through the restaurant, carrying a box to the kitchen. Suddenly a cat’s head falls out of the box. At once the diner drops his cutlery and spits out the food from his mouth. While this scene is a prank, it captures the power of perception. His food was exactly the same before and after the cat’s head fell out of the box. The only thing that changed was his perception of it. In an instant, he went from enjoying the food to being disgusted by it. This moving story illustrates our point. If we choose to focus on the man who was so heartless and selfish, we feel angry, upset, and disgusted. However, if we choose to dwell on the scores of people who sacrificed so much to have that prayer book, we are filled with admiration and inspiration. It is amazing that the same story can elicit such extreme and different emotional reactions. It just depends on our perception and interpretation of the situation. At the point of change, you will want to make the right choices. It is not uncommon to hear people say, “I just can’t control myself” or “I don’t have enough willpower.” The truth is that this defense has validity. The reality is that willpower alone is weaker than a craving or a bad-eating habit! Current research substantiates that self-control is very limited. Let me explain why. The following example illustrates the interaction between subconscious habit formation, willpower, cravings, and our eating habits. Imagine a thick piece of delicious chocolate cake with creamy icing melting over its edges or think about the prospect of taking a second helping after finishing a satisfying meal. What is going on inside your head? We can all relate to this very common experience. Let’s take a few moments to carefully analyze the above inner debate and you will notice something fascinating. The voice that tempts you to eat the cake or take another helping is in the first person: I want to eat it; I love this food. In contrast, the “responsible” voice is in the second person: You know that you will regret this; you know you shouldn’t. The voice that speaks to us in the first person is our first “instinctive” natural response and talks to us in the first person: “I want that cake.” In contrast, the “logical voice” speaks to us in the second person: “You shouldn’t do it,” which makes it further removed. It’s almost as if another person is talking to us! If there is a clash between the “I” and the “You” responses, the “You” understandably stands very little chance. It is in a weaker position. At the point of transformation and a perception change, when you look at a delicious piece chocolate cake, the I and the You will switch positions. Now the responsible voice becomes the I: “I don’t want to eat that piece of cake.” The voice that tempts becomes the You: “You know that used to be your favorite treat.” You still experience temptation, but it is the weaker will, and it is an external temptation in the second person. In fact, at the ultimate level of transformation, you are no longer making the correct choices with your intellect. You are making them reflexively. Your reactive mind or irrational mind stays exactly the same—shortsighted and impulsive. However, now the source of your particular motivation—perception—is healthy. You will no longer experience that inner conflict, or certainly to a lesser extent, every time you are faced with an unhealthy food choice or tempted to skip an exercise workout. 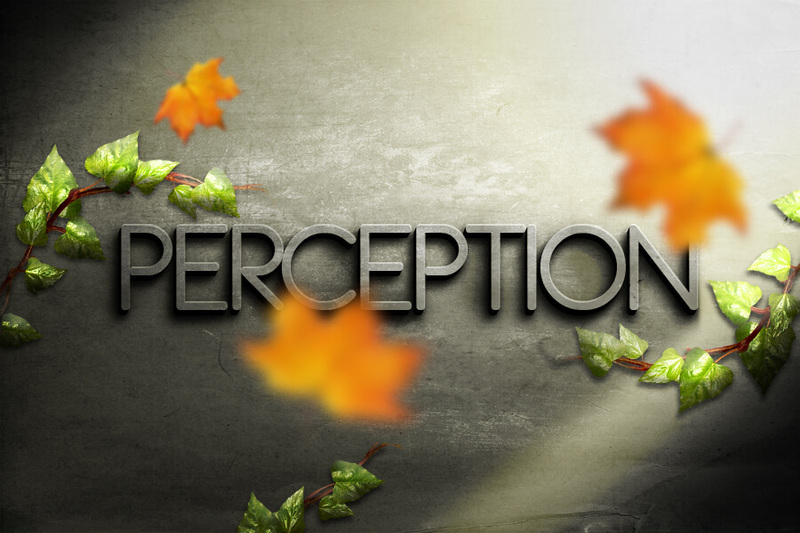 This is the direct result of a perception change. You still react automatically, but now it is in accordance with positive inner motivations for optimum health and fitness that you so desire. We can now understand and truly appreciate why Maimonides calls the famous section in his book on character traits and emotions “The Laws of Perceptions”. A transformation or “perception change” is the most effective way to deal with bad habits because they are uprooted at their source. This is the opposite of repressing a feeling, thought, or action, which is bound to manifest itself in other unhealthy ways. I think this also explains why Maimonides places his health and eating advice in this same section. It is pointless to simply try to change external bad eating habits. As Maimonides wrote, “Many of our bad food choices and bad eating habits originate from our trained perceptions. Think about these concepts deeply. They apply to every situation in life. A transformation is fascinating and exciting. It is the ultimate stage of change.